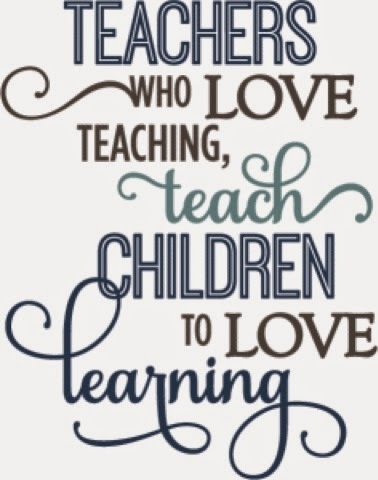 I just have to give a little shout out to all of the amazing teachers out there. It's an often thankless profession, but there are few people I know who work harder. It's funny, because I grew up with parents who were teachers, I married a teacher, and most of my close friends are teachers, teaching is all I know. I couldn't imagine doing anything different with my life. Something teachers all have in common, is their passion for student growth and learning. There isn't a moment when you can just leave behind your job and go home and night, without giving it a second thought. Our hearts and minds continue to think about those students we know who are working 40+ hours a week to support their families, who are in the middle of their parents' divorce, who don't know stability, security, or love, or who spend their time struggling to stay warm, rather than doing their homework. Those kids are the reason that teachers choose their profession. To make a difference. Don't forget to thank a teacher this week! Teachers are a special breed for sure....I cannot imagine having all that love for some many kids and wanting to be able to help them have a better life. I homeschool my kids but I did get a Chapters gift card for our mentor homeschool teacher. We also always get something for my daughter's girl guide teachers. There are LOADS of great ideas on Pinterest, that's for sure! Teachers are such a blessing! They are called to do great work that isn't easy. Thank you for sharing at Waiting on...Wednesday!